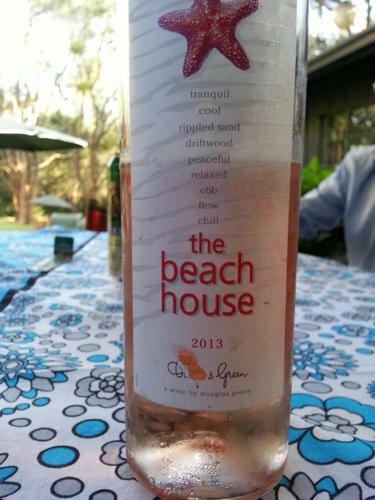 While spending time on Tybee Island in Georgia, more specifically at the highly recommended Surf Song Bed & Breakfast, I was gifted this bottle of wine to sip while enjoying my stay on the island. As temperatures hovered in the mid 80s, the bottle was immediately stored in the refrigerator of the kitchen inside the B&B, where I would grab it later during an impromptu moment getting to know a German woman traveling alone and staying in the room across from mine. She proved a brave soul, and adventurous, so it was a long conversation spent on the porch swing sipping and chatting about our travel experiences and life. This Beach House wine was gone before we knew it, and paired well with the complimentary snack foods we opened, available to B&B guests. This wine was perfect for the occasion – a South African blend of chardonnay, sauvignon blanc and semillon grapes enjoyed while viewing the ocean and absorbing the sea breeze on a hot day. After a bit of research on this wine, I found out it’s best served with pork or rich fish like salmon or tuna. Next time, for sure.